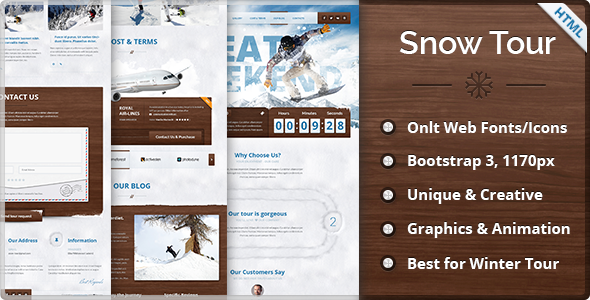 Snow Tour – Great and Easy to use PSD/HTML/WordPress Template. This template it’s great solution for any who will organize ski resorts, travel tour, snow tours, spas, saunas in houses in snowy lands. This will be interested for skiers, snowboarders, businessmen with the appropriate kind of business.